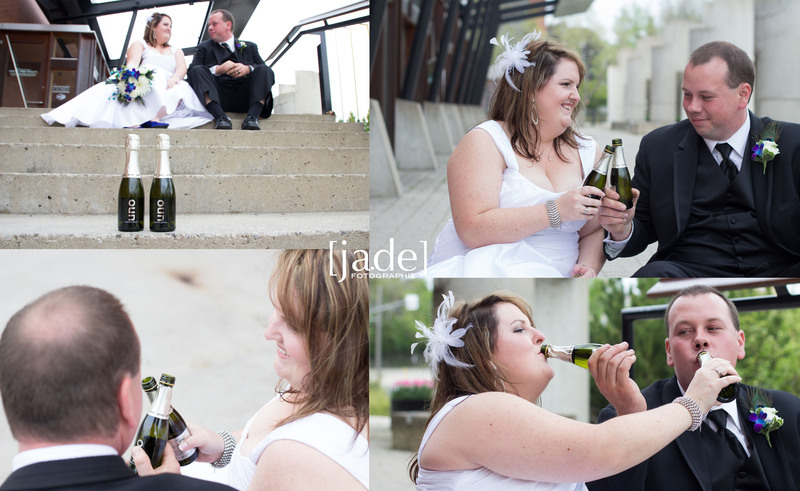 May 12, dawned bright and beautiful, especially for this lovely couple. 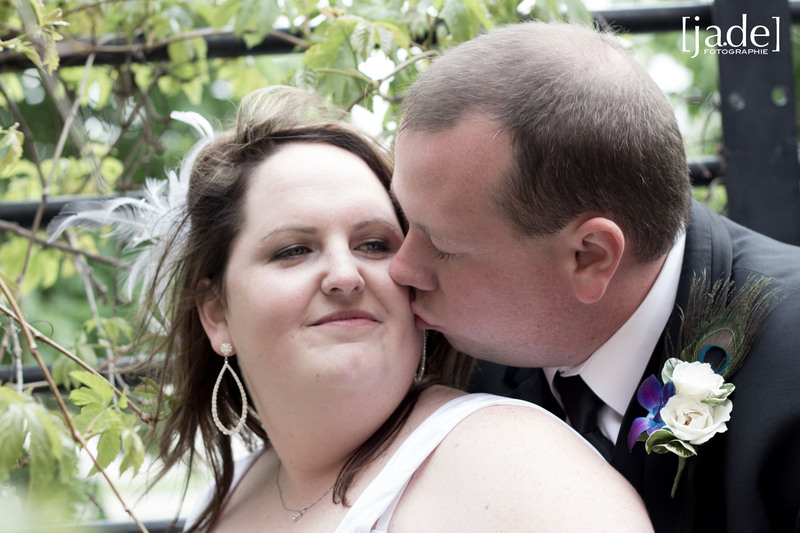 Bill and Andrea are a joyful and laid-back couple who really know how to throw a party! 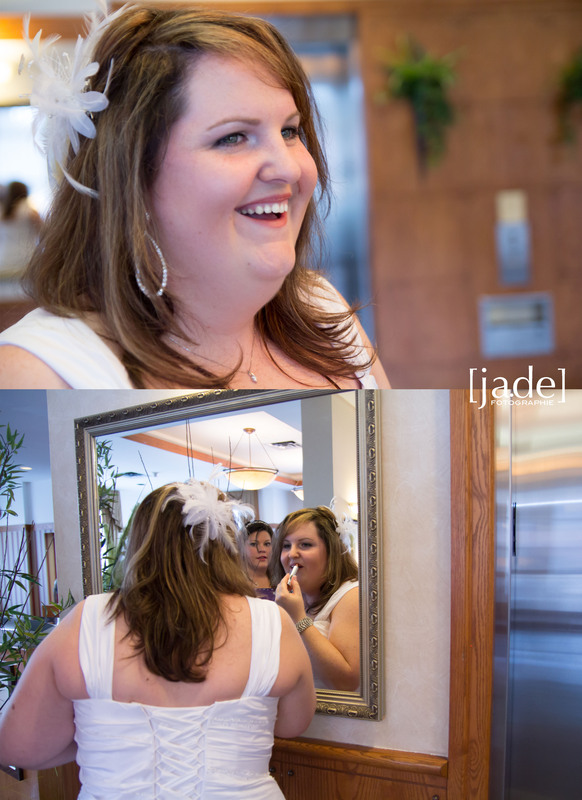 While the wedding was small, there was no detail too small. Andrea, had thought of everything to make her guests feel welcome and comfortable as they shared in this day of celebration. 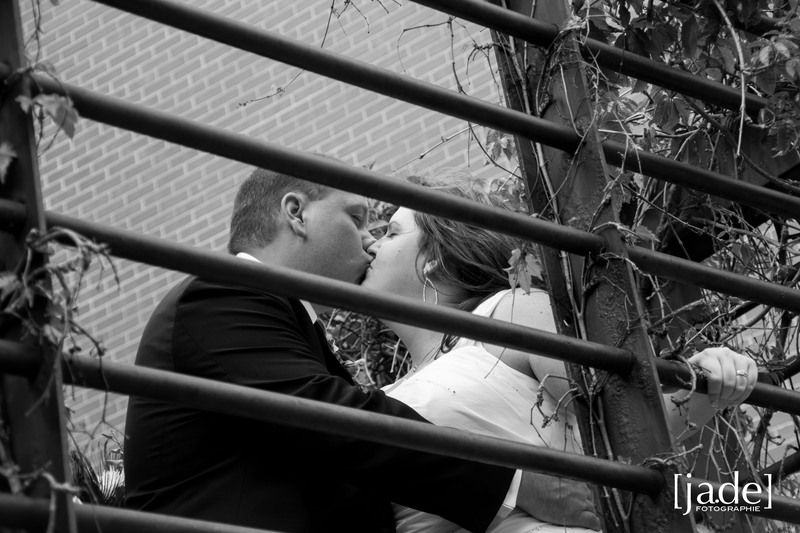 As a photographer, I truly enjoyed watching through my lens as all the details come together to create a day that embodied the depth and beauty of this couple’s love for each other. Andrea looked radient as she prepared to meet Bill at The Grist Mill in Waterloo. 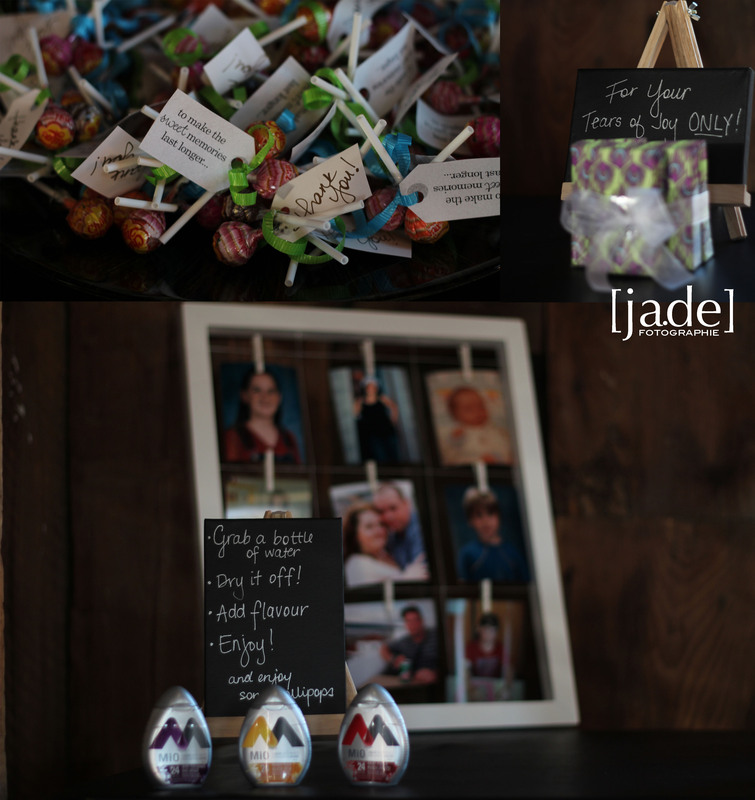 Here are just a few of the amazing small touches that Andrea prepared to welcome the guests. 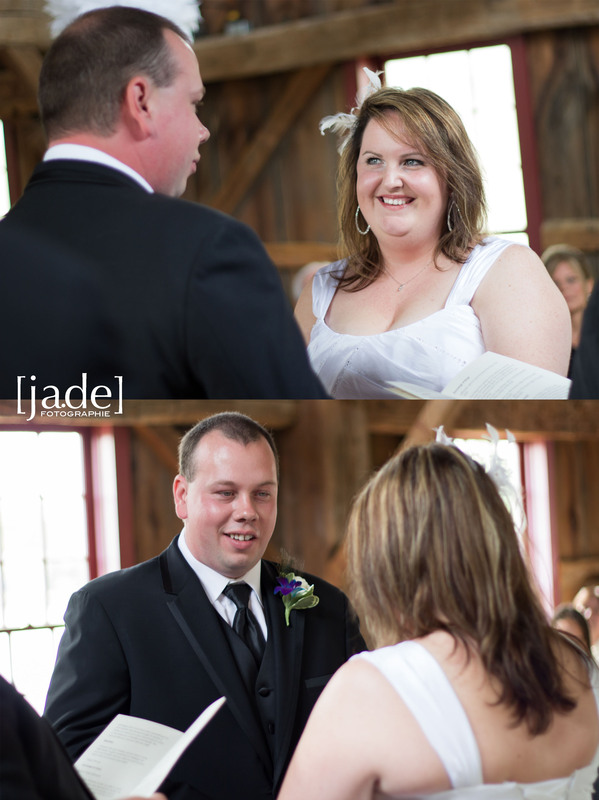 This old mill in Waterloo Park was the perfect location for their sweet and simple ceremony. 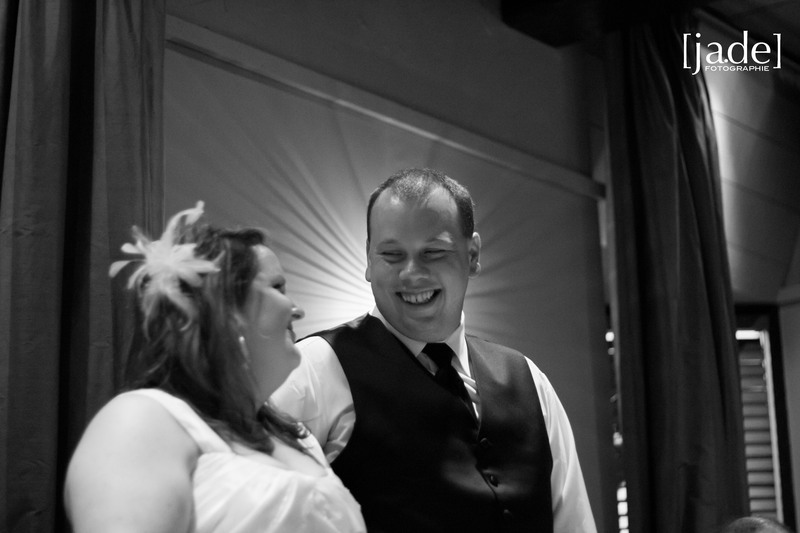 I love how the couple gazed at each other with such adoration as they made their promises love and cherish. 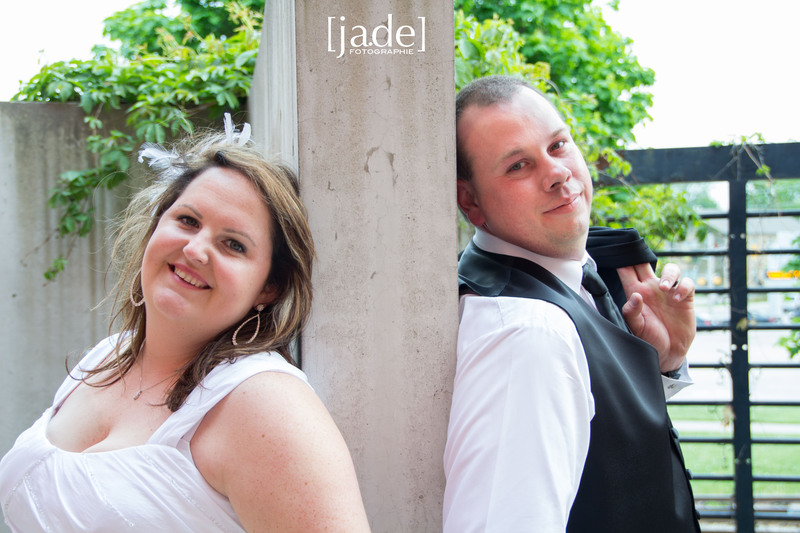 The wedding party consisted of the groom’s brother and the bride’s best friend since grade school. There was lots of love to go around! 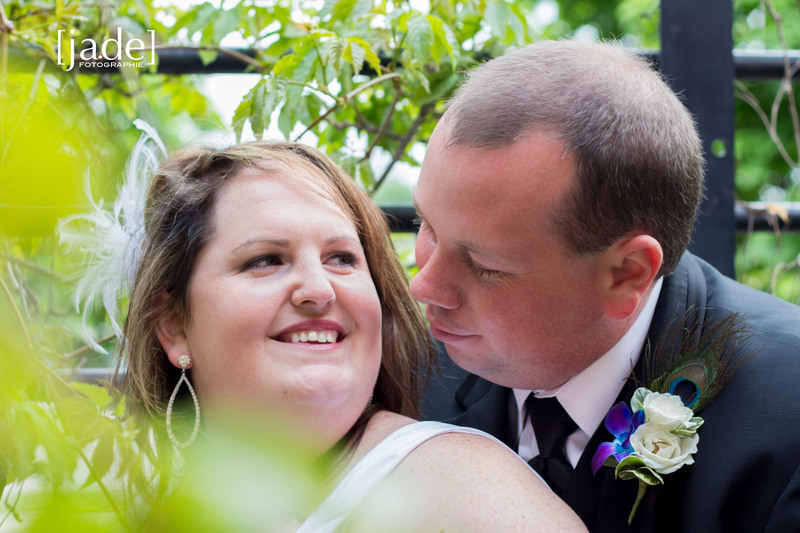 I knew since their engagement session that Andrea and Bill have a chemistry that translates well for the camera. 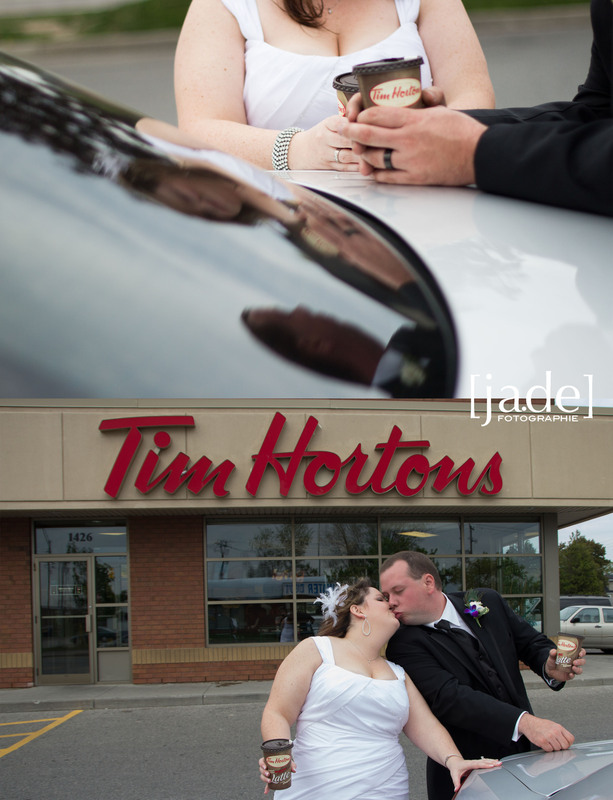 …and grab a Tim’s because that is where the couple had their first date. There were no cliche porcelain figurines on the top of this stunning cake by Chalene MacLeod of “The Cake House” in Guelph. As per Andrea’s request her friend crafted these adorable little characters as a topper. The flowers were arranged beautifully by Penny at “Forest of Flowers” in Kitchener and included peacock feather accents. I also have to point out Bill’s ring tucked in the flower. It may be the most unique wedding ring ever! It is made out of carbon fibre, a material stronger than most metals, and used to make car frames and parts because it is feather light. But because it is so expensive it is only used for exotic or supercars. It is also nonconductive and durable…a great option for Bill, who works with his hands. 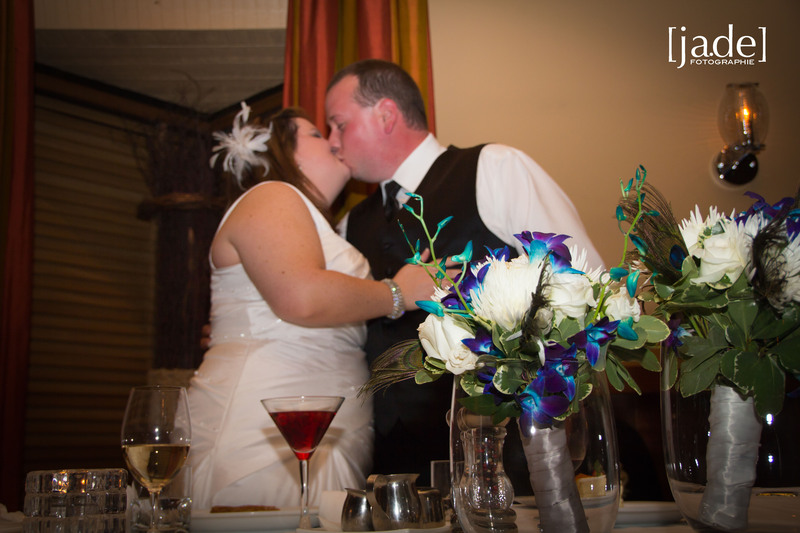 It was evident as the evening progressed that Andrea and Bill were encompassed by a group of friends and family that love and support them and were excited to see the couple take this matrimonial step and the cups tinkled all night requesting kisses like this. 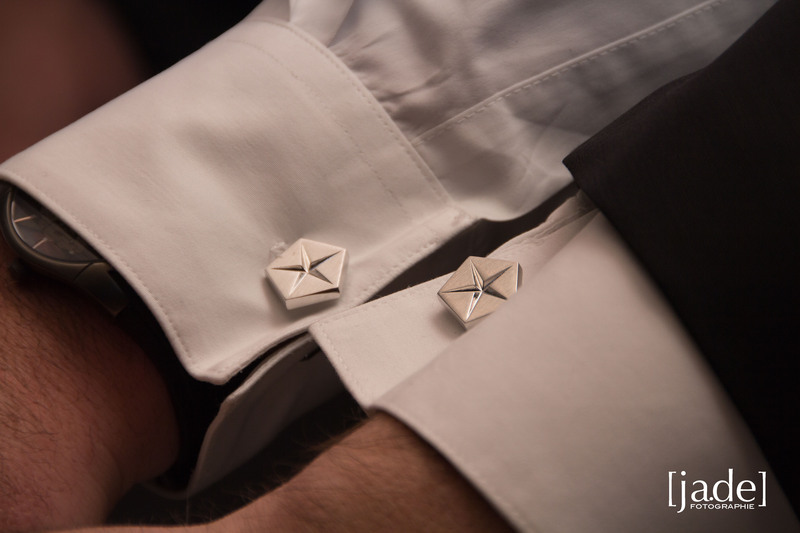 Ok, the repressed “car nut” in me may be peeking out, as I also have to highlight these cuff-links. 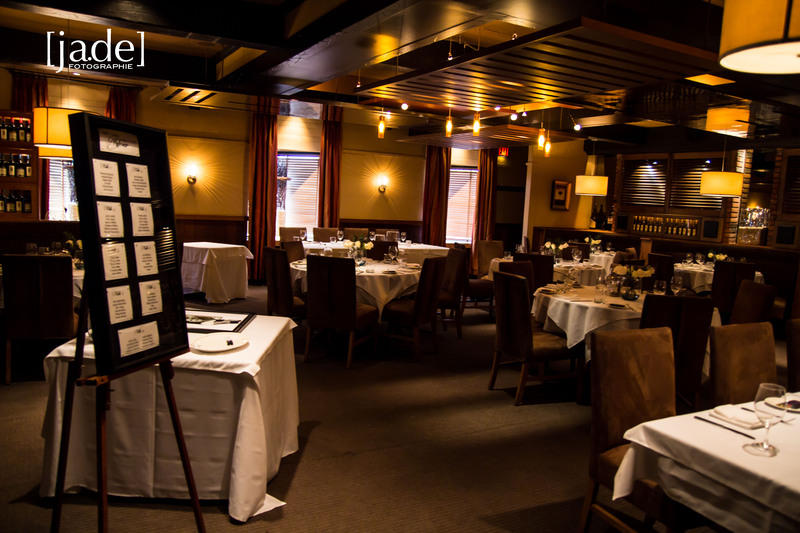 With such a neat location, we had to take in the night-life of the Steakhouse and finished off the evening with these shots, only mildly interrupted by the Whistler BC Guy…but that is a story for another time. 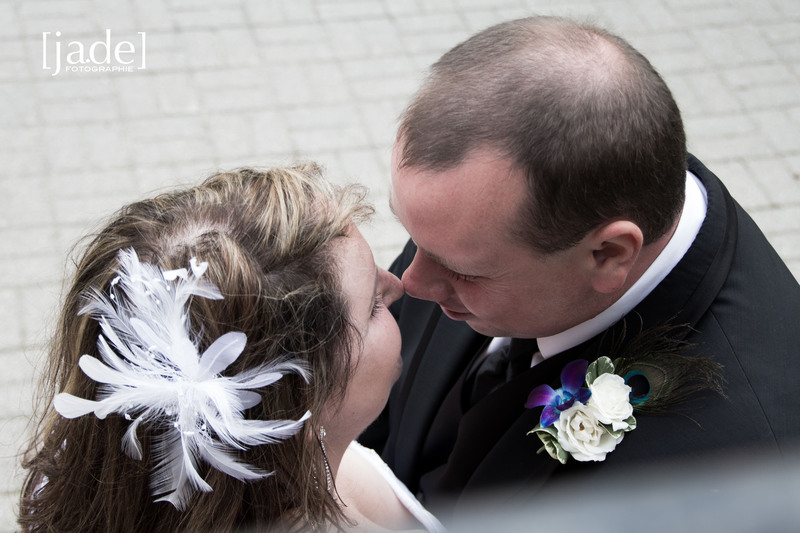 Thanks, so much for trusting me to photograph this fabulous day, Andrea and Bill. I know that your future together will be fabulous too!